I read about The 10 Finest Divas by Rob O'Conner recently and this inspired me to come up with my very own Top 5 Divas today. These are the Top 10 Divas listed by Rob. But before you agree or disagree, we have to agree on the definition of the word 'diva'. According to wikipedia, diva is a celebrated female singer. But the Italian term is used to describe a woman of rare, outstanding talent in the world of opera and by extension, in theatre and popular music. However, the word diva is also closely related to the term prima donna, which is a title for leading female singer in an opera. Usually, these leading singers are arrogant and egotistical. In other words, diva is also associated with egotistical female singers who have big voices and unreasonable demands. So your top 10 list would most probably depend on how you define the term 'diva'. Well, for my post today, let's define divas as talented, female singers with big voices and are able to command the stage. We shall throw out all those egoistic, unreasonable characteristics, shall we? So back to the list by Rob, I am quite surprised by his inclusion of Macy Gray. What the heck is she doing there? She's definitely no diva to me! And to be more diva-ish than Barbra Streisand and Chaka Khan? That must be a joke! And where is Aretha Franklin? She is not in the Top 10? Impossible! If you think Madonna should be in the list, well let me tell you she can't possibly qualify for her lack of musical talent and voice! So, who are my Top 10 divas? Well, I think I'll just narrow it down to 5. But instead of just naming them, I shall tie them to the songs they sing. Now, I have always loved good pop ballads with uplifting lyrics. Not just any pop ballads, mind you but those amazingly powerful ballads that makes your spirit soar and which are inspiring to the soul. Ballads that stir the emotion in you and touch you so deeply that it can even make you cry. Most often than not, these powerful ballads are usually sung by female singers with powerful voices. These female singers are also usually known as divas. This form of pop ballads were most popular during the 80's and 90's. Nowadays, you seldom get these kind of pop ballads anymore as it is no longer popular as evidenced by the lack of such music on top of the Billboard Chart. Besides, not many singers are able to sing such songs as they require one to have exceptional vocal ability and power to execute them successfully. Anyway, here are my top 5 power pop ballads (and coincidentally, also my 5 top divas!) which I like very much and will always love! Note: As embedding the original YouTube videos of these songs had been disabled, I could not show them here. You can however click onto the links to watch the videos. This will always be my No.1 most inspiring song of all time. The first time I heard this, I didn't think too much of it, until I listened carefully to its uplifting lyrics. Wow! Mariah not only wrote this from her heart, she sang from her heart too! This is the song that I play whenever I feel down because it really pulls you up. 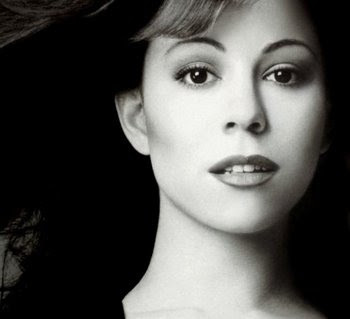 That a hero lies in you...."
Mariah is a true diva - very talented in terms of songwriting and singing as most of her self penned songs/singles hit No.1 on the Billboard Chart. I have to say Whitney Houston is the greatest singer of all time and to date, I don't think anyone has beaten her yet in terms of vocal power. This song stayed on top of the Billboard Hot 100 for 14 weeks, a feat that was only surpassed by Mariah and Boyz II Men with their song "One Sweet Day" which stayed at No.1 for 16 weeks. Originally written and sang by Dolly Parton, this song was given the makeover by Whitney's powerful vocals! 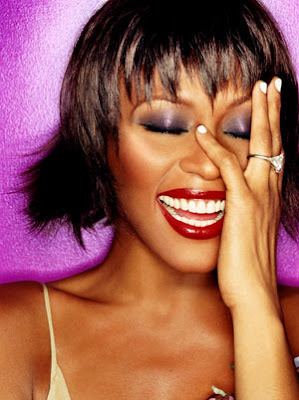 Whitney is another true diva - the diva with the biggest voice! I have heard many singers sang this theme song from the movie "Titanic" but no one could sing it better than Celine Dion. Absolutely no one. You may have a powerful voice but that does not mean you can sing this song well as it requires some form of voice control and technique which only Celine could master. Although I am now pretty bored with this song having heard it endless times, I still rate this as one of the best ballad ever. Celine is a diva in her own right - but a very "nice" diva that people love! Christina is exceptionally good in vocal acrobatics and her voice is so powerful she can definitely give Mariah and Celine a run for their money! She sang this song beautifully. I love it! I also find the lyrics very inspiring and somewhat similar to Mariah's "Hero". You'll learn to begin to trust the voice within...."
Christina definitely deserves the title 'diva'! This is a powerful song co-written by American Idol judge, Simon Cowell himself! Leona Lewis, a rising star after winning the X-Factor reality show in UK gave her all in this song. I'm really looking forward to her next album and I hope she will have more of such songs! Although Leona is still new in the industry and cannot qualify as a diva just yet, but I think she is definitely a diva in the making! How about you? What is your top 5 inspirational power ballads and your top 5 divas? Note: I am taking a break from my Kinabalu Trip posts. Will resume with A Walk Along Gaya Street next! Nothing to add since I don't really listen to music much. Leona Lewis has a great voice and voice control for someone so young. She deserves to win that competition. My list would include Madonna in her younger days. Great list. lina, good morning! Congrats for being FC! You don't really listen to music? Why? I switch on the radio while driving! And I listen to music even when blogging on my laptop. Last time, I switch on my CD player to play my favourite songs when I go to sleep. Don't do that anymore now as I prefer the quite environment during sleep. Maybe getting older. Haha! happysurfer, if Mariah does not top my list, then you'll know this post is not written by me. Haha! Leona Lewis definitely deserves to win the X Factor! She has a great voice! Madonna? Definitely not in my list. haha! You're right. Macy Gray? Say what? My personal favourites would have to be Mariah Carey, Diana Ross and Whitney Houston! I like Celine Dion and Whitney Houston (back in the old days though..now no). As you know my fav song is sung by the top 2 divas, so I do agree with your choice. hmm.. i like celine dion and whitney houston.. haha.. Pardon me but I only know 7 of those listed divas. I'm not so familiar with nos. 7, 8 and 9. Maybe bacause I'm in the older generation. ha ha ha! Thanks for the visit and compliment on my hairdo. No I didn't touched up that photo of mine. ha ha ha!!! I wish I know how so I can improve my looks.he he..
Wow I love your list of Top Divas! I would definitely agree with you. When they sing those songs, their voices are extremely strong yet perfect. Many likes but since 5 ..... it'll be Whitney Houston, Mariah Carey, Aretha Franklin, Dionne Warwick and Gladys Knight. Can we have Nora Jones inside the list? A Pop Jazz queen would be nice. Celine deon is on top of it of course. I like Celine Dion, Diana Ross and Christina Aguilera only. Mariah Carey's Music Box occupies a tiny little corner of my heart. mei teng, both Celine and Whitney were really good back in the old days, weren't they? JL, maybe you are listening to too much Jap or Korean pop music nowadays ? Haha! tita beng, yes you can address me as Foong. Btw, the singers on list no. 7 and 9 (Bette Midler & Chaka Khan) are from the older generation of singers. Surprised you didn't know them? suituapui, yes Barbra Streisand should be much higher up the list, but no higher than Mariah. Haha! eastcoastlife, oh I'm sure many youngsters know who Madonna and Michael Jackson are - they are so famous for the wrong reasons! And of course, Mariah is very current - she is still singing and producing albums. Mariah Carey not in your list? I thought can ask you give me a high five! : ( So who's the one replacing Mariah in your list? You are a big fan of Celine Dion? Well, she sings very well, but her songs are...well, let's just say not as good as I want them to be. Leona Lewis' face looks rather what? Sorry for my poor vocab but what is INDEGENIOUS? merryn, give me a five! haha! Not surprising Whitney has faded from your mind - she no longer sings as much as she used to. superman, only these 3 singers? But there are so many other good singers! YAY mariah in da house while Mariuca is at ur EC woo hoo! J2Kfm, nice to hear that Mariah's Music Box album occupies a tiny corner of your heart. Dropped ec and clicked adgi! Eh u're here! Hi Foong!! mariuca, hi! haha! Mariah in the house and Mariuca in my EC! Sounds like some rapping you are doing here!LOL! mariuca, EC still haven't approve? Wonder why? I haven't been really following the developments in EC, and only thought of cashing out the last few days! Thanks for clicking adgi! But can you announce like that? I think if you announce like that for Adsense, they will ban me for sure! hi foong! no diva fave for me, same as your picks except Lewis. Mariah, Diana, Christina, Whitney and last but not least, Beyonce. bengbeng, really? I don't listen to a lot of her songs though I know she's a good singer. ayie, you don't like Leona Lewis? Leona Lewis is ok but not among my diva list. my all time favorite will have to be christina. her voice is way awesome! I agree with most of the list, for those I know off. Some of them I never heard the name before. But I kind of hate Mariah Curry for her high pinch voice, yelling kind, and she hums too much in all her songs. calvin foo,looks like you are not a fan of Mariah. Well, I kinda like her way of singing and she knows how to use her voice by changing the tone and going up and down very rapidly.